Wages of Rebellion - prophetic or paranoid? 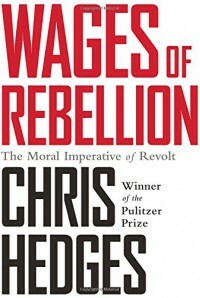 Even though Chris Hedges published the Wages of Rebellion, The Moral Imperative of Revolt in 2015 it was likely finished and at the publishers long before the rise of Donald Trump. That's why the candidate for the Republican Party nomination isn't mentioned specifically, though Hedges has identified him. Trump is the epitome of the demagogue the beleaguered white middle class battered by a stagnant and flagging economy, either unemployed and poor, or crippled with debt will turn to as American society begins to unravel. According to Hedges, a Pulitzer Prize winning foreign correspondent who has covered wars in Latin America, the Middle East, Africa and Iraq, he's seen it all before and it won't be pretty. In this meticulously documented book he reveals the rot in the system showing how all levels government are controlled by multinational corporations and the mega rich whose main purpose is to amass more wealth and power by subjugation of the masses. America is about to boil over according to Hedges, but it won't be the poor who will initiate a revolution, but rather the middle class upon realizing their expectations cannot be achieved. On one hand Hedges appears to encourage revolt while cautioning it can only be successful if it is non-violent even in the face of violence perpetrated by the state and it's tacit approval of vigilante groups. On the other hand he lays out a bloody scenario of chaos and death that leads to fascism and beyond - the collapse of American civilization, which he predicts not in the distant future, but maybe tomorrow. Hedges' heroes are Julian Assange, the founder of Wikileaks, Chelsea Manning who released the video "Collateral Murder" as well as other classified documents to Wikileaks, and Jeremy Hammond who hacked the private security agency Stratfor and released five million emails exposing the monitoring, infiltration and surveillance of dissidents and protestors on behalf of the National Security Agency. Those he vilifies include President Obama, Bill Clinton, the American judiciary and large corporations. Hedges is also caustically critical of the wealthy. He attributes some of his insight to the fact that as a boy he was "thrown into the embrace of the upper crust" as a scholarship student at a New England boarding school. He spent time in the "mansions of the ultra rich and powerful" and this is where his "hatred of authority, along with my loathing for the pretensions, heartlessness and sense of entitlement of the rich comes from...". 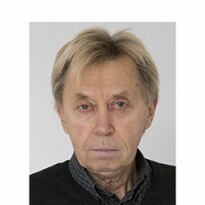 He calls living among the rich "a deeply unpleasant experience". He says the rich view the lower classes "as uncouth parasites, annoyances to be endured, sometimes placated, but always controlled in the quest to amass more power and money." Yet his portrayal of the working class is hardly better suggesting most white Americans are ignorant, gun-toting, racists prepared to use Muslims, Blacks and Latinos as scapegoats for all their unfulfilled expectations. That, of course, does not include him. Hedges makes convincing arguments by carefully choosing incidents past and present that prove his thesis, indeed, maybe even advance his agenda. Though his arguments are compelling and persuasive this reader had to wonder if another writer, as skilled as Hedges who did not have a " hatred of authority..." along with a "loathing for the pretensions, heartlessness and sense of entitlement of the rich...", but rather an opposite point of view could make the case for a very different America? In the last chapter of Wages of Rebellion, Hedges gives examples of rebels who have defied the forces of injustice and repression including Martin Luther King. He says they were imbued by "sublime madness", a term coined by American theologist. Rheinbold Niebuhr. Hedges maintains that to fight "radical evil" this quality is essential and it demands "self sacrifice and entails the very real possibility of death". Depending on your cause and your faith might others call "sublime madness" by another name? Is Hedges a prophet or just a clever guy with a giant chip on his shoulder? Time will tell and that time may actually have a date, July 18-21, 2016 - the 41st Republican National Convention.